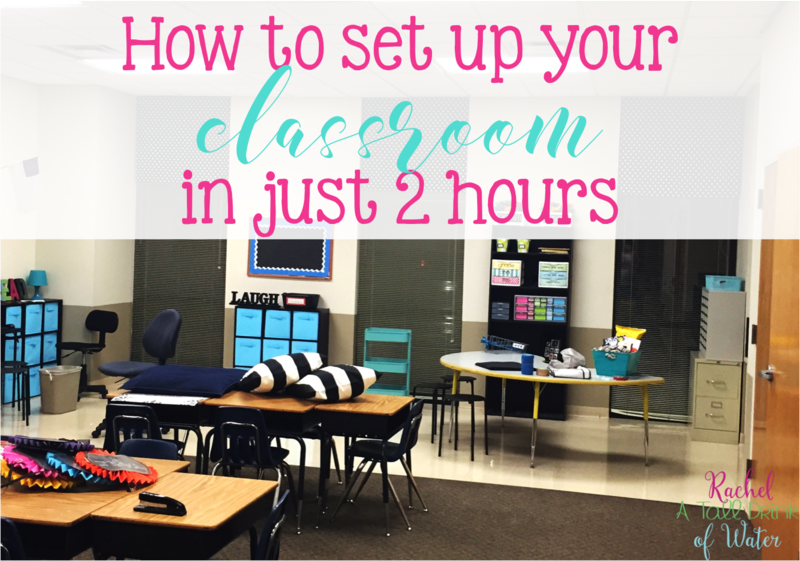 How to set up your classroom in 2 hours! 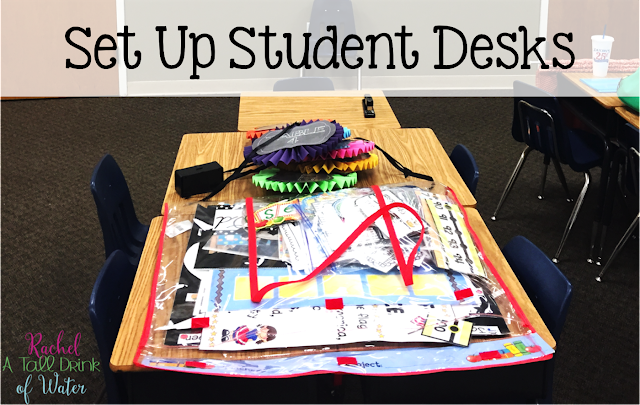 Are you setting up your classroom yet? 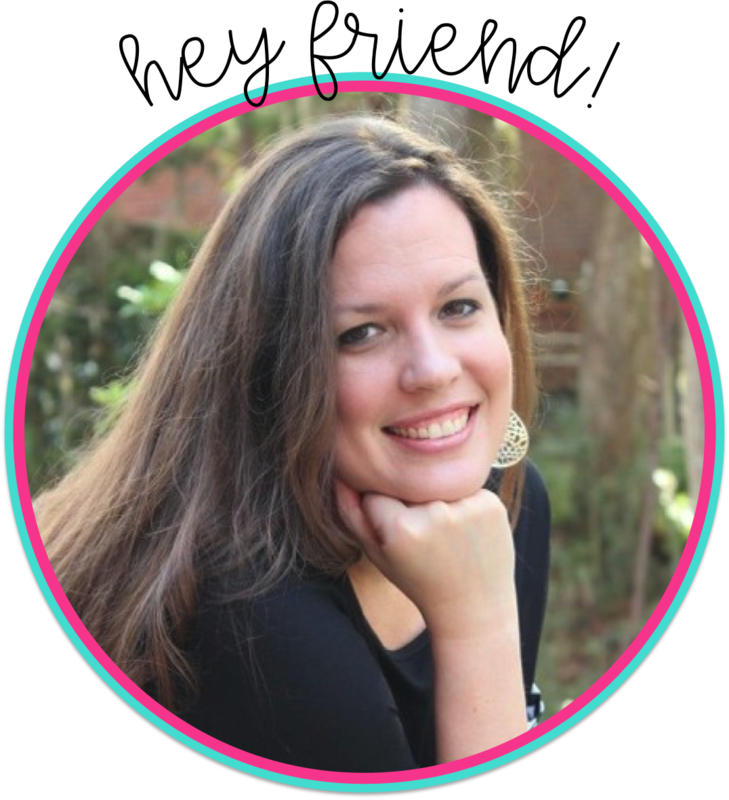 I just went back this week to start...and even after 13 years, it still can be overwhelming! 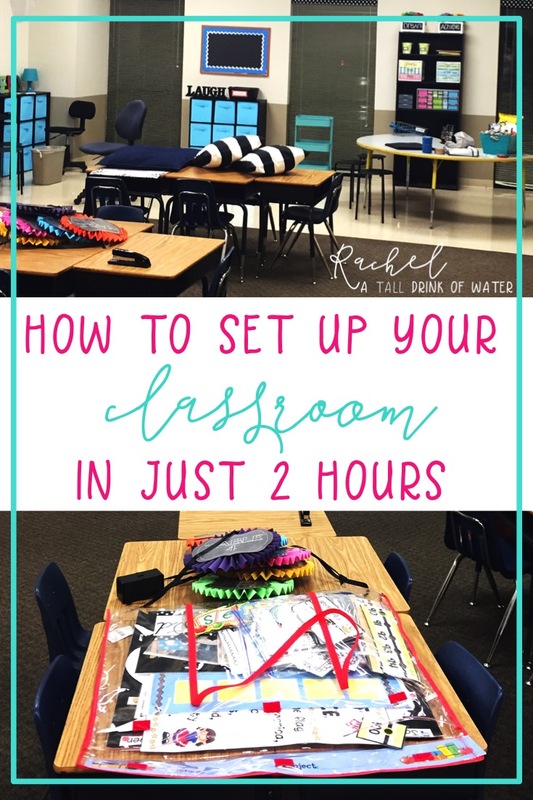 But I've learned a few tips and tricks over the years that have helped this year be the quickest way to set up! It literally took me two hours! First things first, I move all the big furniture to it's rightful place. My setup last year worked really well, so I knew I wasn't changing much. Even if you're trying a new arrangement, get those big pieces...shelves, bookcases, tables, etc. to the spot you're going to try them out. Then you can see if you need to move anything around. 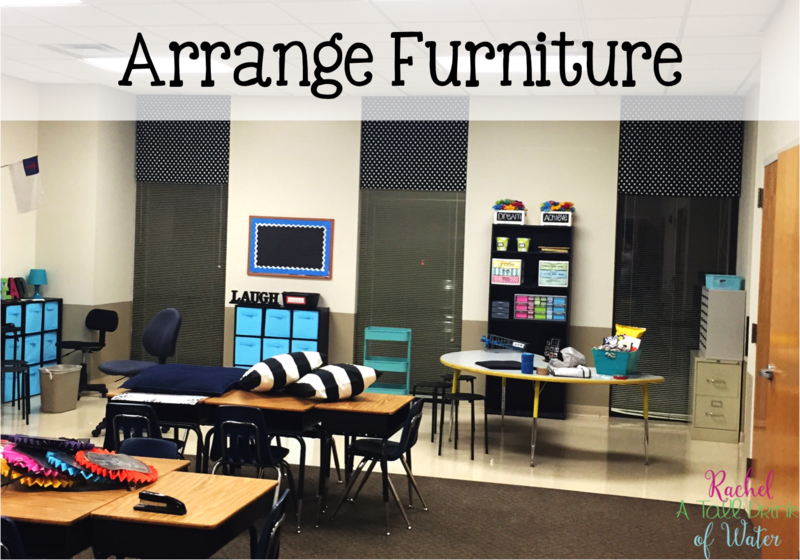 I put the students' desks and chairs in the arrangement I want. This helps with two things, it gets them out of the way, plus it gives me extra space to work! I set up my teacher area next, because I know I'll need to have access to my scissors, tape, etc. Easy access means you're not walking around looking for something and wasting time. This is usually a huge undertaking, but once it's complete, I feel like my whole room is so much further along! I just wrapped these babies in butcher paper so I only had to unwrap and push into place! 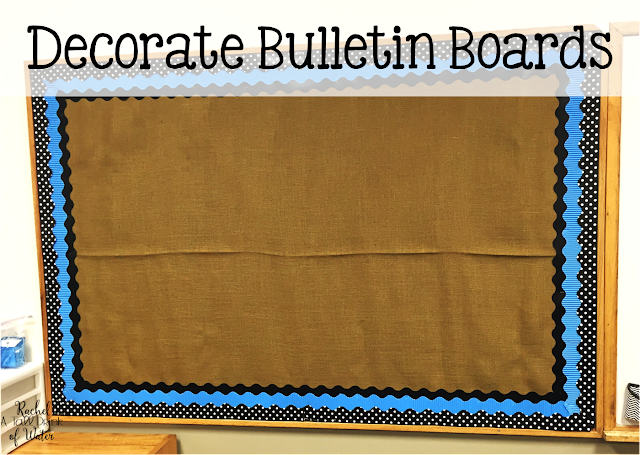 I was so fortunate that I didn't have to take down my bulletin backgrounds and borders this year! 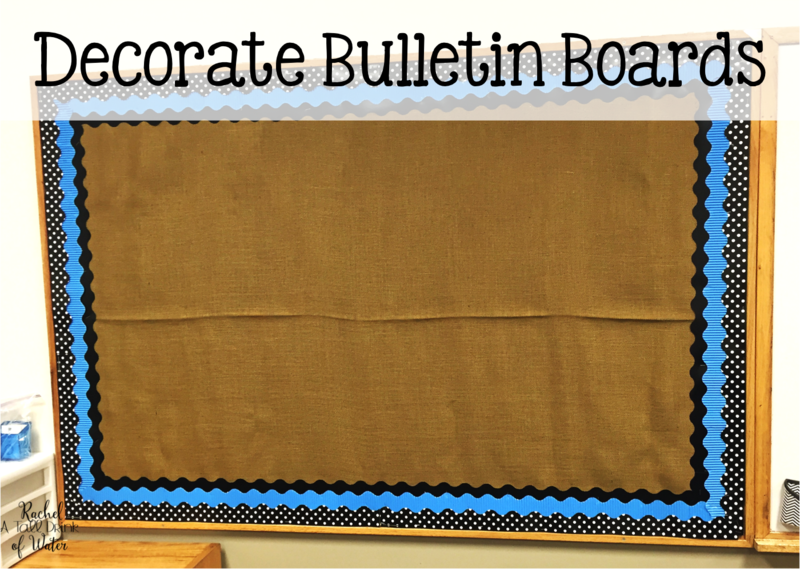 But don't feel like you have to have something on your bulletin boards the first day. Leave it blank to add student work! Once these 5 things are complete, I know students could walk and I could start teaching! Now, I know I don't want them too...because I want to do SO much more to make our room cozy and inviting. But honestly, these are the bare bones, if this is done....then the rest will fall in place! Great ideas! I like to leave my boards blank too. 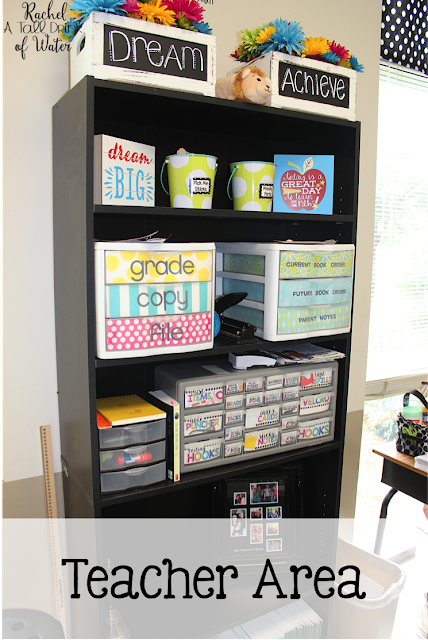 I'd rather build them with student work, anchor charts, etc. 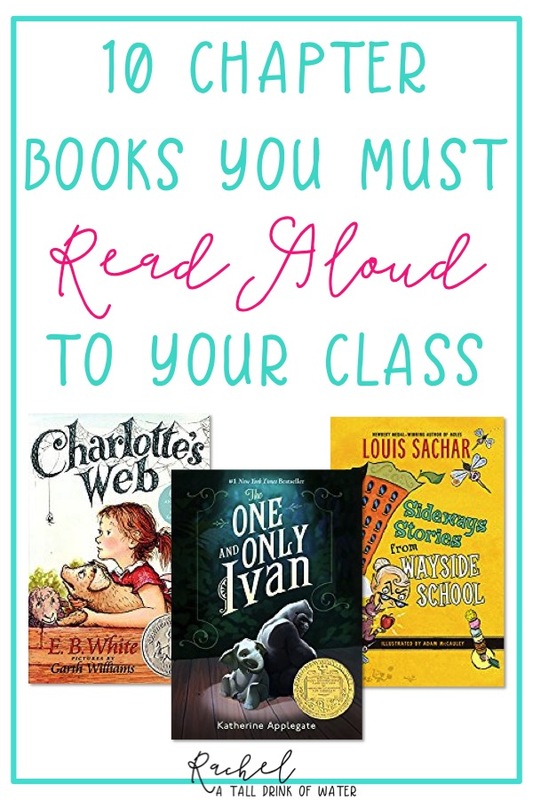 I think it is more meaningful to add relevant content the kids need. Have a great year! Thanks!! 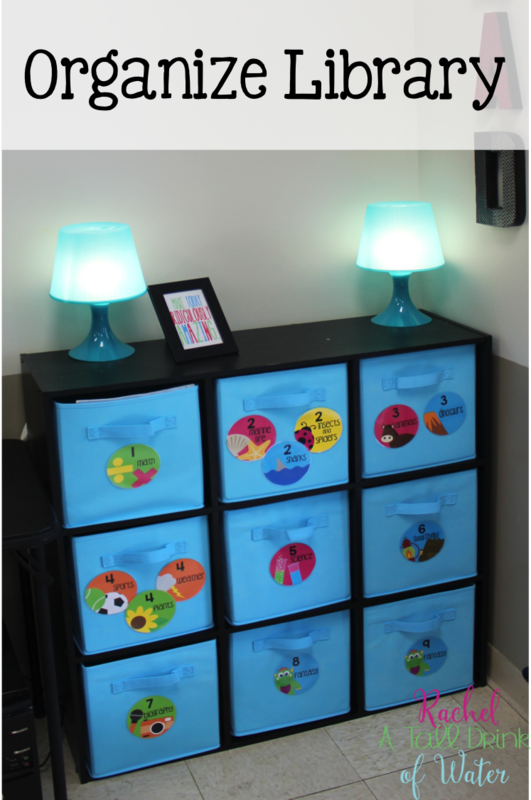 I completely agree and feel kids will use the info on the bulletin boards more if it goes up as it is taught!